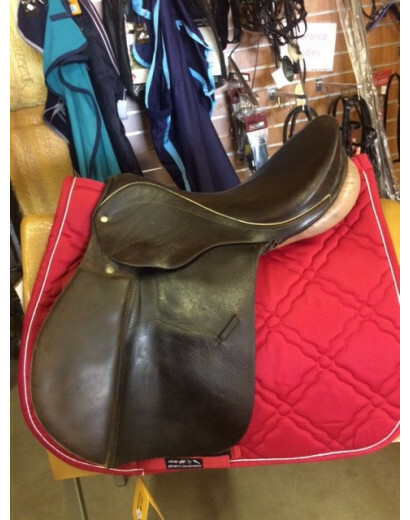 Beautiful Pony saddle 16.5" Lovett and Rickett English Leather saddle. Excellent condition. General Purpose and slightly narrower than medium fit. 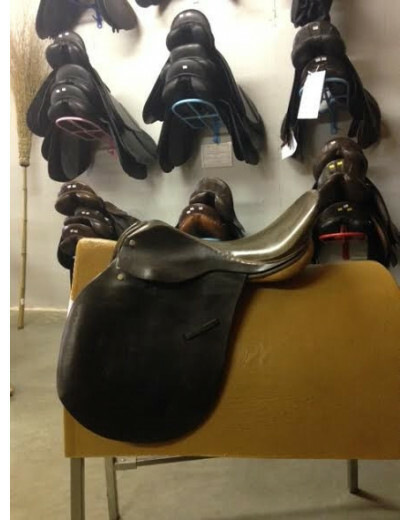 Comfortable saddle to ride in. 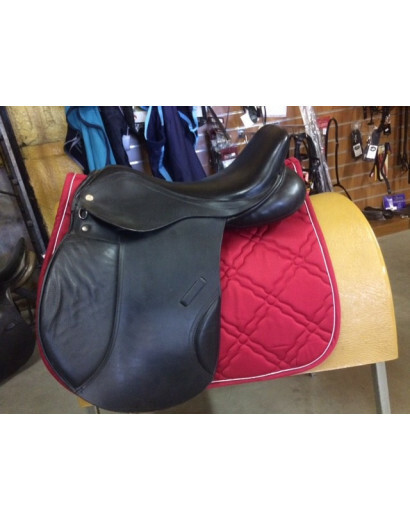 This is a good condition 17" english saddle with a versatile medium tree. 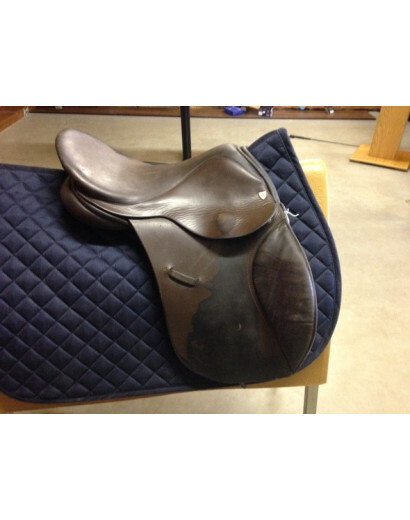 This saddle is general purpose, black deep seat saddle. 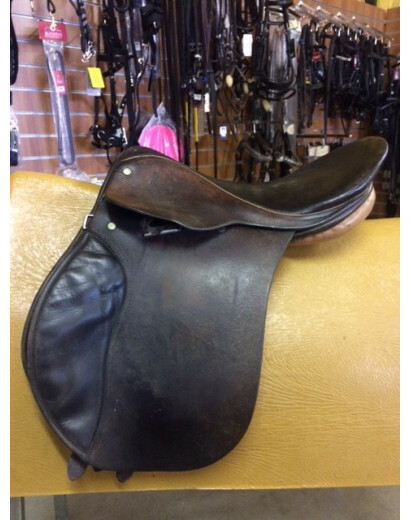 This 17" leather saddle is general purpose. It has a high round back. The gullet is narrow- medium. 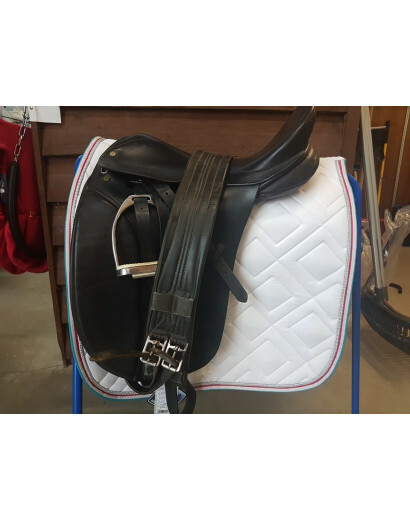 It is in good condition and has 3 girth straps on both sides. 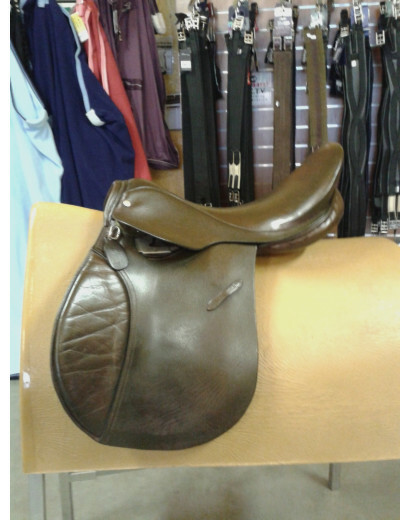 It is light weight and is 2 toned in colour. 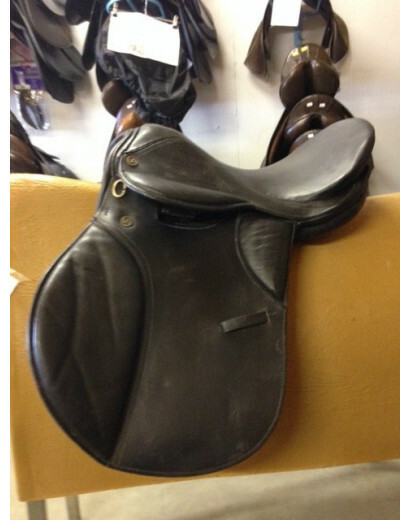 This black pony saddle is in great condition with just 1 previous owner. 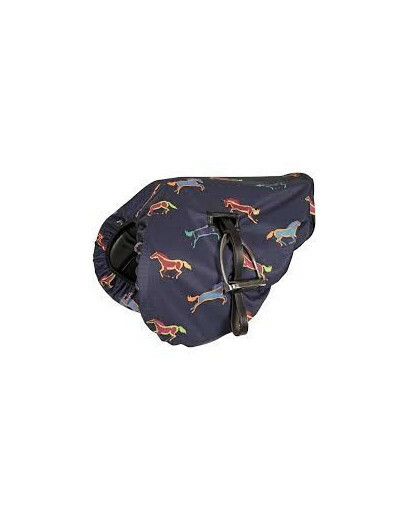 It is general purpose with front rolls to help keep your leg in place. The gullet width is narrow. This demo Lincoln looks like new. 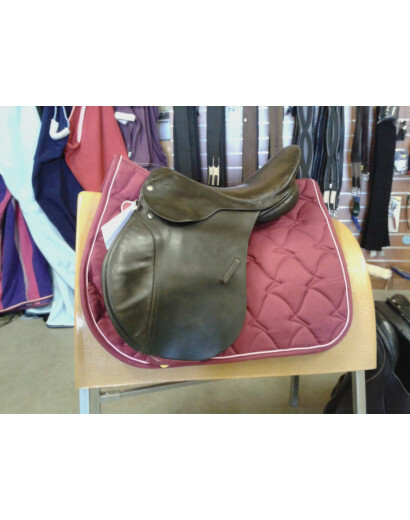 It is a close contact saddle ideal for jumping with it's blocks. Price reduced due to demo use. 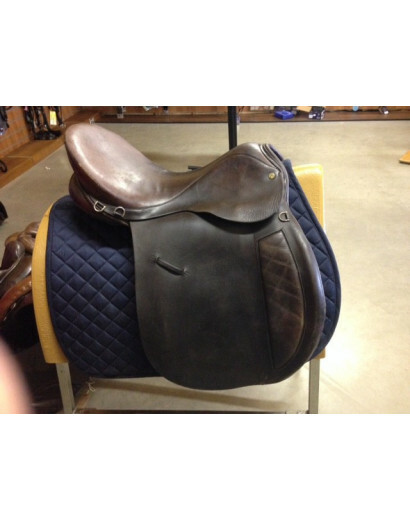 Gullet 5" medium.